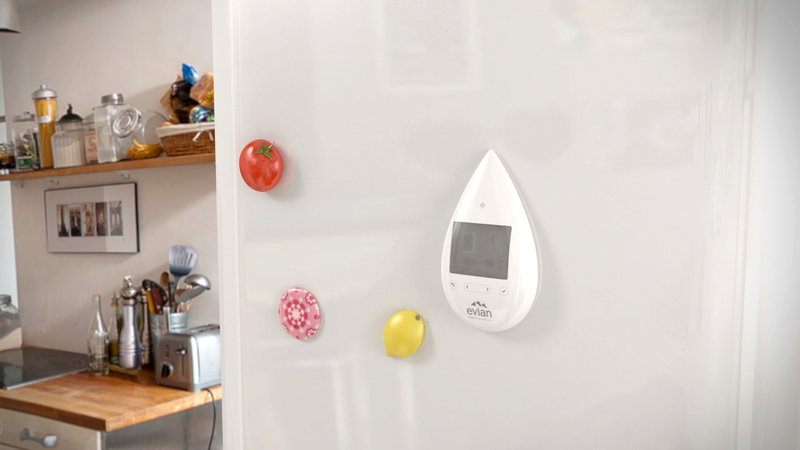 Evian has launched new service evianchezvous.com (evian-at-home.com) with the Evian Smart Drop, an innovative Wi-Fi fridge magnet in the shape of a drop of water. In a fun and simple way the Evian Smart Drop allows users to order natural mineral water, for delivery to their doorstep, without even using a computer or phone. The idea is to simplify peoples lives by making it possible to order bottled water the moment they realise they’re running out, when they’re in front of your fridge. No more carrying of heavy bottles from the shop. Instead it’s delivered to the doorstep in a few simple clicks. 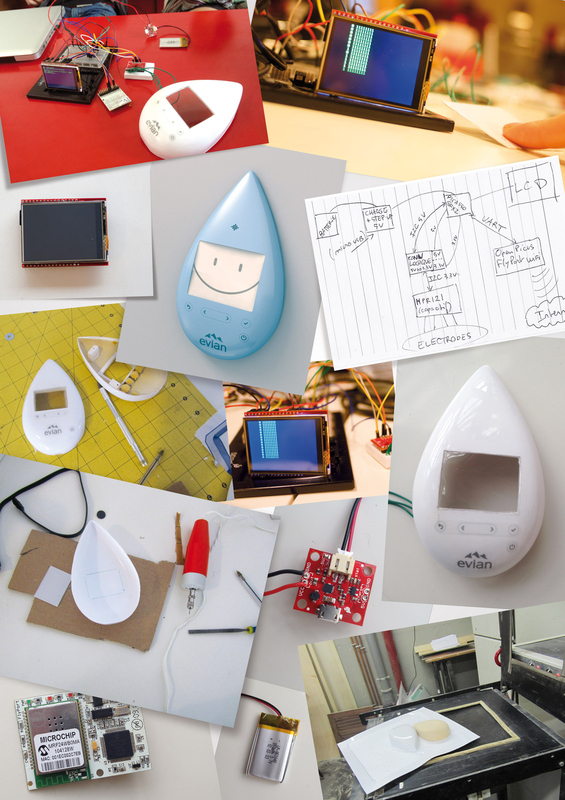 The design, inspired by 1980s Gameboy devices, seeks to avoid looking too technologically complicated. 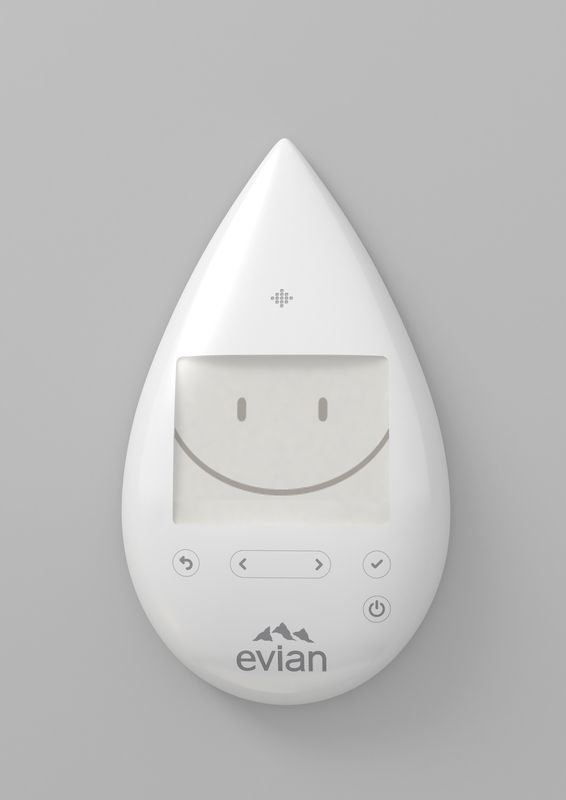 Evian hopes to offer the Smart Drop to the most faithful users of the evian-at-home.com service by 2013. The Evian Smart Drop campaign was developed at BETC Paris by global creative director Remi Babinet, creative directors Christophe Clapier and Ivan Beczkowski, art directors Loris Cormoreche and Clement Vidal, copywriter Frederic Petipont, strategic planner Sebastien Houdusse, web project director Jonathan Casseron, agency executive Dominique Verot, account director Gaelle Gicqueau, account manager Isabelle Picot, account director Xavier Blairon, digital manager Alice Boulard, working with Evian marketing team Julien Nuzzo and Charlotte Darsy. Product development and production was done at Joshfire.